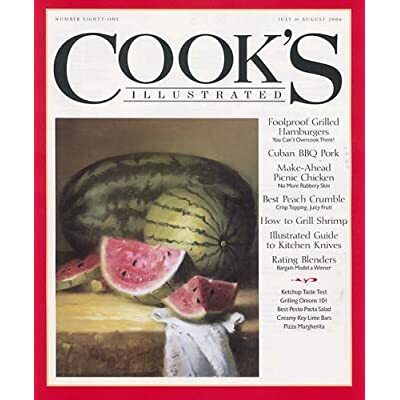 Always on the hunt for new recipes, my mom found this fabulous cooking magazine called “Cooks Illustrated.” She picked it up at a local grocery store a couple years ago and has continually renewed her membership. There are few ads in it, just pure cooking talk. Recipes, ideas, tips, and of course illustrations… and all so simple yet so profound. The most recent issue had a two page spread on how to add flavor to your meals. I never really thought about such details, but this article really opened my eyes to how flavor is enhanced during the cooking process. 1. Scoring meat before you marinate it. Makes perfect sense… poke small holes in the meat so the marinade can actually get inside and add flavor. 2. Add hearty herbs at the beginning of the cooking process and fine herbs at the end. That way, the hearty herbs can last and the fine herbs won’t lose their flavor. 3. If you want intense pepper flavor, add pepper at the end of the cooking process. Otherwise, the pepper will lose flavor over time. 4. Toast your nuts. To intensify the flavor of nuts, toast them in the oven on a cookie sheet or in a shallow pan over low heat on the stove for a few minutes. I have done this, and it really does work! 5. To kick up commercially bought spices, saute them in a little butter or oil over the stove. This will bring out their flavor so they seem fresh. 6. Ever added just a bit too much flavor? If food is too salty, add an acid or sweetener. If food is too sweet, add an acid or seasoning. If food is too spicy, add a fat or sweetener. All about balance!